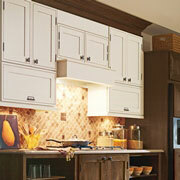 Updating a kitchen can be integral for setting a new mood and atmosphere of the room. The kitchen is one of the most high-traffic rooms in a home, as it’s a place where homeowners will cook, clean, relax and entertain guests. At ProSource® of Springfield, our goal is to connect trade professionals with high-quality kitchen brands at low wholesale prices so they can bring their homeowner client’s home improvement projects to fruition. The style, design and finishing of your client’s kitchen cabinets will set the stage for their entire kitchen. Whether your client is looking for kitchen cabinets with a modern, white finish or cabinets with a traditional dark wood stain, ProSource is bound to offer something your client will fall in love with. 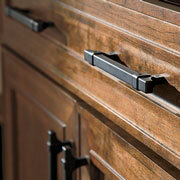 Cabinet hardware can serve as both functional items and decorative kitchen statements. At ProSource, our hardware collection includes appliance pulls, hooks, knobs, end caps and more, all of which come in many different colors and sizes. 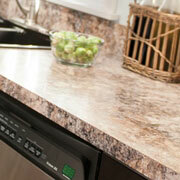 Kitchen countertops do more than provide a space to cook or eat on — they showcase your client’s personal flair. Our selection of countertops come in many different colors and finishes, and their materials can range from granite to quartz. The kitchen sink is something a homeowner will utilize for many different tasks, from washing the dishes to cooking their favorite dinner. 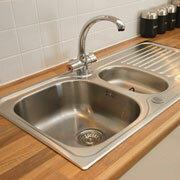 At ProSource, our kitchen sinks are made out of materials ranging from stainless steel to fireclay, and we offer large single bowl, double bowl and triple-basin options. 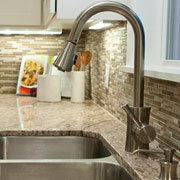 Kitchen faucets aren’t only functional aspects of a kitchen, but also little specs of your client’s personal taste. ProSource of Springfield has many kinds of faucet styles and colors so the final touches to your client’s kitchen remodel are exactly how they imagined.